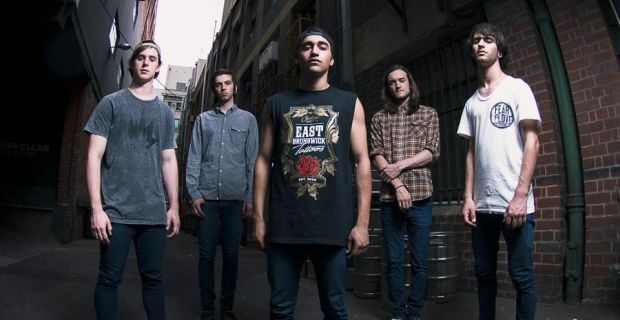 Yesterday evening, Sydney, Australia’s Northlane announced that they have parted ways with their longtime vocalist Adrian Fitipaldes, who has been featured on all of the group’s releases to date. According to a post to the band’s official Facebook page, the outfit’s hectic schedule was too stressful towards the frontman’s physical and mental well-being. Read the full-statement after the break, and let us know how you feel in the comments section below. As unfortunate as this news is, the remaining members of Northlane have decided to press on in search of a new vocalist, and are presently accepting online submissions to round out their lineup. If you think you’ve got what it takes, more details can additionally be found below. The group is presently slated to re-release their latest full-length, Singularity, on October 28 via Rise Records. Pre-Orders are ongoing. To submit for the audition process, you are required to lay down vocals over either “Quantum Flux” or “Dream Awake” taken from the instrumental deluxe edition of our last record “Singularity”. We would like if you included a video of yourself performing your vocals as well, just so we can reference you doing it. Please note that we aren’t looking for a carbon copy of what we have already done, we are looking for someone to show their creativity within the songs, so do what shows your voice off as best as possible. With the above included please email nlsubmissions@weareunified.com and remember to include your name, age and location as well as links to any other previous works that you’d like to show us.